IPL Auction 2017 - What lies forth! Players released = 11 (six overseas). Players retained = 16 (five overseas). No. of players they can buy = 10 (four overseas). Purse remaining = INR 175,000,000. Only a year old in the Indian Premier League, Rising Pune Supergiants released the most number of players (11) before the auction. Kevin Pietersen's unavailability might hurt them just as his injury did in the last season. After releasing Ishant Sharma, Irfan Pathan and Rudpra Pratap Singh, the management would want to invest in Indian seamers. With MS Dhoni, Ajinkya Rahane, Steven Smith, Faf du Plessis and Usman Khawaja in the squad, the batting department has been taken care of. 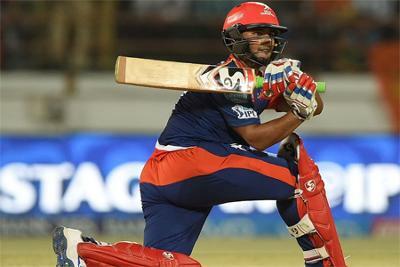 The ploy of buying Mayank Agarwal from Delhi Daredevils during the transfer window might work in their favour as well. Bowlers - both Indian and overseas as there is not a big gun in the bowling division except Ravichandran Ashwin and Ashok Dinda. A hard-hitting all-rounder as a cover for Mitchell Marsh. Players released = 10 (three overseas). Players retained = 20 (eight overseas). No. of players they can buy = Seven (one overseas). Purse remaining = INR 128,250,000. Is there a better batting line-up in T20 cricket than Virat Kohli, Chris Gayle, Shane Watson and AB de Villiers on our planet? No. One would say. Lokesh Rahul and Kedar Jadhav add immense value to this quartet. If there is one team that hasn't ever won the IPL and deserves the most to do so, it is Royal Challengers Bangalore. Things are not just limited to their batting department, with Mitchell Starc and Samuel Badree in the squad, they perhaps have the topmost fast and spin bowler in T20 cricket with them. A squad of 20 players is already a hefty one. But RCB should seriously be looking for Indian fast bowlers along with an off-spinner (they have none at the moment). Players released = Nine (six overseas). Players retained = 14 (four overseas). No. of players they can buy = 14 (six overseas). Purse remaining = INR 197,500,000. The most unfortunate development for KKR in this IPL would be the loss of Andre Russell to an anti-doping code violation. It might as well come out of the auction as the most active team. The Indian core of the side is intact but a lot of work is left to be done as far as overseas players are concerned. Currently, they have only three overseas players in Sunil Narine, Shakib Al Hasan and Chris Lynn. 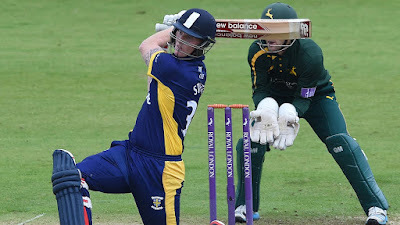 Ben Stokes would be the apposite replacement of Andre Russell for KKR. With the release of Morne Morkel, Jason Holder, John Hastings, Shaun Tait and Jaydev Unadkat, they are effectively left with only one capped fast bowler (Umesh Yadav). They don't have an overseas fast bowler and have only one overseas batsman. Likewise, they also need an overseas all-rounder as an apt replacement for Andre Russell. Players released = Eight (one overseas). Players retained = 16 (six overseas). No. of players they can buy = 11 (three overseas). Purse remaining = INR 143,500,000. What better would a franchise in it's first season expect than finishing at the top of the points table? Under the leadership of Suresh Raina, Lions performed exceptionally well but failed to continue the momentum in the play-offs. The uncapped Indian squadron has been mostly released. With Brendon McCullum, Dwayne Smith, Aaron Finch and Suresh Raina, they form one of the strongest top orders in the IPL. Praveen Kumar and Dhawal Kulkarni would once again like to show the world that swing alone can contain the opposition batsmen. A quality right-arm spinner and a fast bowler (both Indian and overseas). Middle-order batsmen who can play the big shots during the death overs. Players released = Eight (four overseas). Players retained = 20 (six overseas). No. of players they can buy = Seven (three overseas). Purse remaining = INR 115,550,000. This year's auction might not see a high number of bids coming from Mumbai Indians' table. The reason being that they have already retained 20 players including six overseas players. Their squad looks a settled one which removes the pressure of buying more number of players in the limited budget that they have. In terms of purse remaining, Mumbai Indians have the lowest amount of money ahead of this year's auction. The Pandya brothers and Nitish Rana are the players to watch out for in Mumbai Indians. The duo of Tim Southee and Mitchell McClenaghan makes a strong bowling line-up with Lasith Malinga (though all of them are highly unlikely to play in the same match) and Jasprit Bumrah. The tried and tested faces in Rohit Sharma, Ambati Rayudu and Parthiv Patel are likely to take centre stage as far as batting is concerned. A capped Indian fast bowler. Players released = Seven (three overseas). Players retained = 17 (five overseas). Purse remaining = INR 231,000,000. Delhi Daredevils best describes the horses for courses policy. Quinton de Kock, Carlos Brathwaite, Sam Billings and Rishabh Pant are tailor-made for T20 cricket. The emergence of Karun Nair and Jayant Yadav in recent times at the international stage further strengthens the squad. The experience of JP Duminy and Amit Mishra also bolsters the line-up. 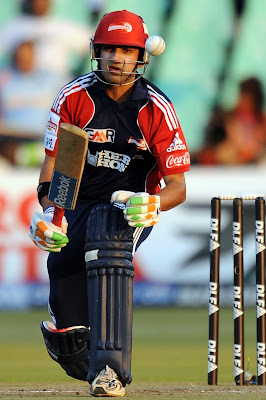 Fitness of Zaheer Khan and Mohammad Shami will be under the radar during the course of the tournament. A lot of eyes will be on Rishabh Pant in the upcoming season of IPL. The upper hand with Delhi Daredevils is their purse. They can surely afford to buy able replacements for the South African contingent who will not be available for throughout the tournament. Perhaps, this was the reason why they did not retain Imran Tahir. The management would also be looking to buy quality Indian fast bowlers who might come in handy in the absence of Zaheer Khan and Shami. Players released = Six (two overseas). Purse remaining = INR 200,900,000. The defending champions will start their campaign with almost the same side. Among the big names, only England's limited overs captain Eoin Morgan and New Zealand's Trent Boult have been released. Shikhar Dhawan, David Warner, Kane Williamson and Yuvraj Singh form a strong batting line-up. Moises Henriques and Ben Cutting are two all-rounders that provide value for money in the T20 format. Bhuveshwar Kumar and Mustafizur Rahman can contain any modern-day batsman. A spinner (be it Indian or overseas). Wicket-keeper as Naman Ojha's back-up. Players released = Four (three overseas). Players retained = 19 (five overseas). No. of players they can buy = Eight (four overseas). Purse remaining = INR 233,500,000. It has been two seasons now since Kings XI Punjab has been finishing on the last spot in the points table. Generally, one would expect such a franchise to release a lot of players. But such was not the case with Kings XI Punjab. On the contrary, they released the minimum number (four) of players ahead of the auction. What has worked in their favour is that this bold step has ensured that they have the maximum purse with them. In David Miller, Glenn Maxwell, Hashim Amla and Shaun Marsh, they have a solid batting line-up on paper, it is just a matter of time when they convert it into performance. Because of the maximum purse available, Kings XI Punjab can buy the player of their choice even if it costs them the extra couple of crores. A hard-hitting Indian all-rounder is the need of the hour for them. They might also be interested in buying an overseas fast bowler because they have none.